When the light is absorbed by the skin, the light energy is converted into intracellular energy. It has the effect of relaxing and strengthening the blood vessels and producing enzymatic and photochemical reactions that increase the activity of catalases and superoxide dismutase (SOD) cells. This serves as a "guardian" and "cleaner" of cells and increases the energy source of the cells into decomposed adenosine triphosphate. The increase of glycogen and proteins promotes the synthesis of cells and the new ones replace the old ones. It also stimulates the secretion of fibroblastic growth factors and epidermal growth factors. Collagen fibers block and eliminate melanin formation, accelerate cell growth, accelerate blood circulation, stimulate collagen protein production, improve skin elasticity and repair aging skin, reduce acne, blackheads and reduces sunburn. a towel to absorb moisture. 2. 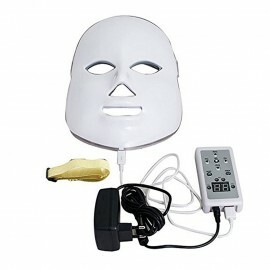 Remove the light therapy mask, and then pull out the control box. Connect the power supply line of the mask to the outlet hole of the control box. allow to increase or reduce the time. The "Brightness" button is used to define the intensity of the light (9 possible positions) according to the need for comfort of each. The "Flicker" button activates the flash mode and sets up to 4 flashing frequencies of the light. Finally, the arrows located on both sides of the inscription "Microelectronics" allow to change the strength of the galvanic current to be adjusted according to the feeling of the person. 4. Once the mask is bright, place it on the face so that the position is as comfortable as possible. Use the strap to maintain the position of the mask on the face. 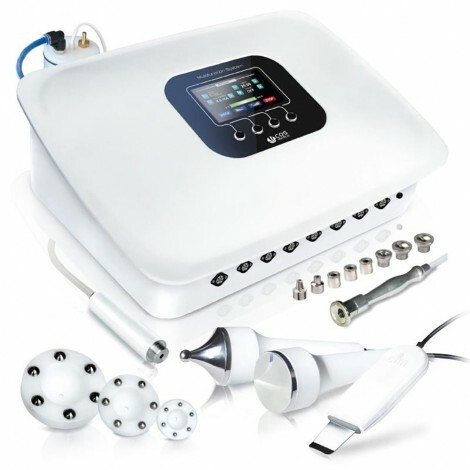 RED LEDs stimulate the growth of collagen. Collagen is an essential protein used to repair damaged tissue as well as old tissue. It can also remove wrinkles and reduce pores. GREEN LEDs balance the pigmentation of the skin, reduce wrinkles, improve aging skin, accelerate the healing process of wounds and lighten the skin. BLUE LEDs kill porphyrins that are contained in acne bacteria. 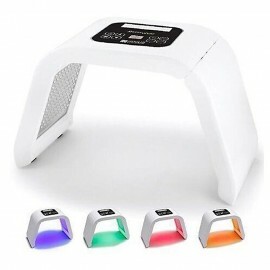 In addition, blue light has a calming action and is very effective for hypersensitivity. YELLOW LEDs improve the exchange of oxygen in cells, decomposing pigments, reduce wrinkles and promote lymphatic drainage. VIOLET LEDs combine the effects of red light and blue light. This light is particularly effective on acne. LED CYANS (light blue) gradually improve the energy of cells and is a booster effect of metabolism. 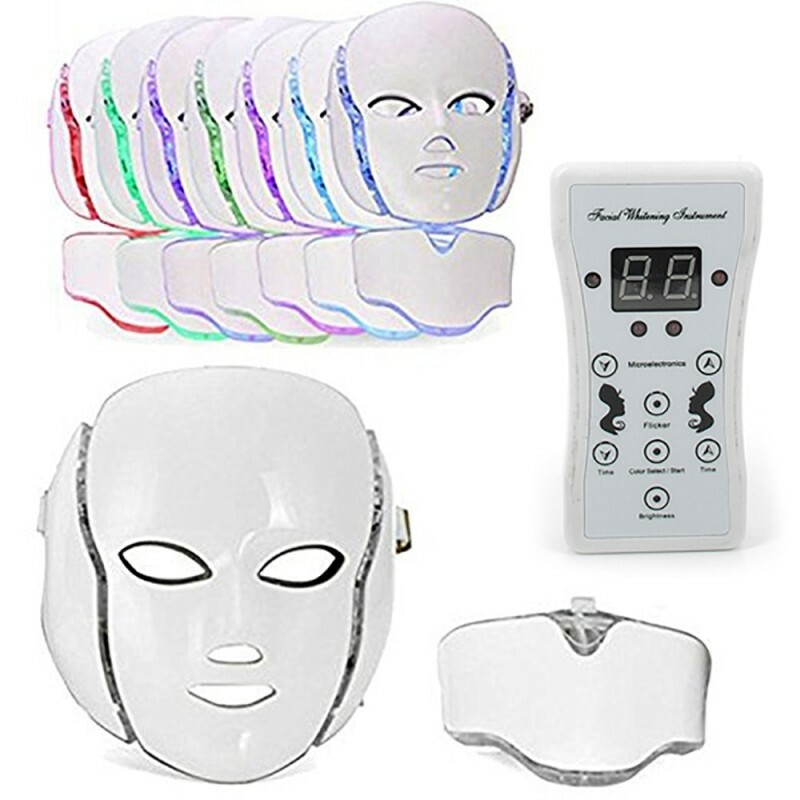 WHITE LEDs penetrate deep into the skin to accelerate tissue metabolism, improve the appearance of wrinkles and aging skin.